Reinforcing Scania‘s commitment to the UK fire and rescue and specialist airport service vehicle markets, David Carter has been appointed to the position of Specialist Sales Manager – Fire and Airside for Scania (Great Britain) Limited. 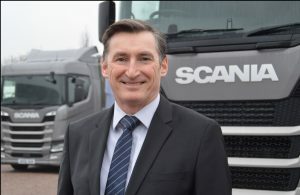 David has spent his entire working life within the commercial vehicle industry, initially as an apprentice and technician before progressing to fleet and account management. Prior to joining Scania, he worked in procurement for the UK ambulance service.